Częstochowa - Black Madona tour - Polish Tours & Travel Agency - Greetings from Poland! 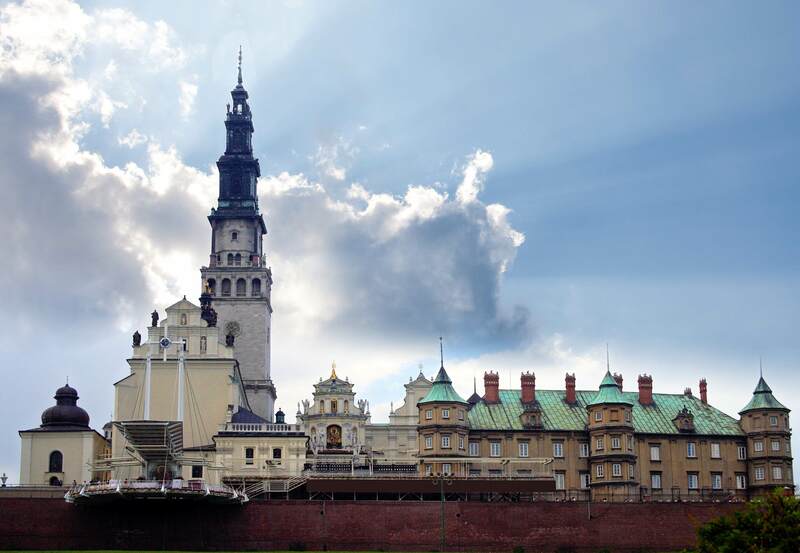 Visit Poland’s spiritual heart on a tour to the town of Czestochowa. Follow the footsteps of millions of pilgrims as you gaze upon the “Black Madonna” at the Jasna Góra Monastery. Our Black Madonna tour takes you to a place which receives around 5 million visitors a year (including over 150 thousand pilgrims on foot). After arriving at the monastery we visit the chapel of the miraculous painting of the Black Madonna, which is the embodiment of the attachment to the Cult of Mary so typical of the Catholic faith in Poland. Next, we visit the Basilica, which is the main church of the monastery. You can also visit the 600th-Anniversary Museum and the Treasury on your own, if you wish, or attend Mass while others on the tour have a break for lunch and a visit to a souvenir shop. On the way back we alter our route slightly to admire the most spectacular limestone rock formations typical of the Kraków-Czestochowa Uplands. This allows us to visit the only remaining castle of the so called Eagle Nest Trail at Pieskowa Skala. Price includes: English speaking guide, roundtrip transportation. Departure time: everyday, ask us for a departure time from your hotel.